With the wildfires in Alberta still devastating Fort McMurray, technology has played a significant role in helping with the recovery effort. Aerial drones, or unmanned aerial vehicles (UAVs) are becoming a common piece of technology relied upon in disaster scenarios. Founded in 2007, Aeryon Labs is a Waterloo, Ont.-based UAV provider specializing in portable and durable drones. David Proulx, vice president of product and marketing, explained that drones found on the market nine years ago were extremely large and often restricted to military operations. The Aeryon SkyRanger drone is being put to use in Alberta to assess wildfire damage. Ventus Geospatial is the company using the Aeryon SkyRanger to survey the damage caused by the Fort McMurray wildfires. Ventus Geospatial was unavailable to comment at this time due to the ongoing work in the field. Aeryon has a history of working in disaster scenarios, some of which include the 2014 typhoon in the Philippines, the 2015 earthquake in Nepal, and the more recent earthquake in Ecuador. The company is partnered with GlobalMedic, a branch of the David McAntony Gibson Foundation that responds to disasters with rescue, water purification, and medical units. The SkyRanger can be used to locate survivors by detecting body heat, as well as asses damaged buildings to judge whether or not they are structurally sound. Drones aren’t the only type of technology being used to survey damage in Fort McMurray. 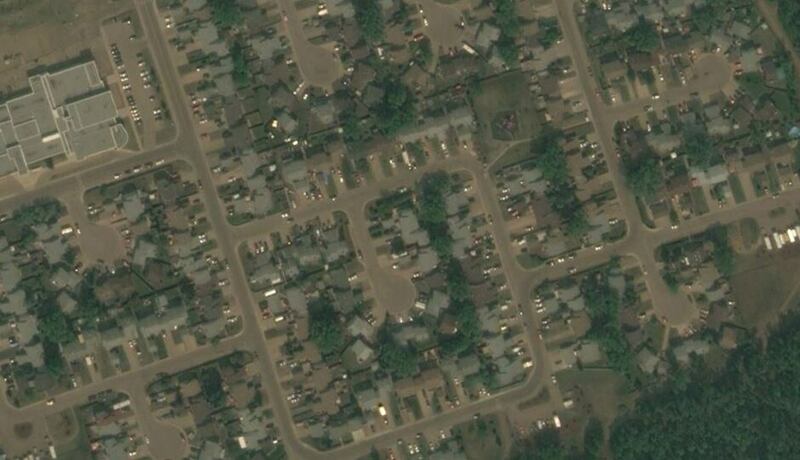 The Alberta government has launched an app that displays satellite images of the town so that residents can see the condition of their neighborhood. The images come from a French satellite that was launched in 2011 by CNES, the French space agency. 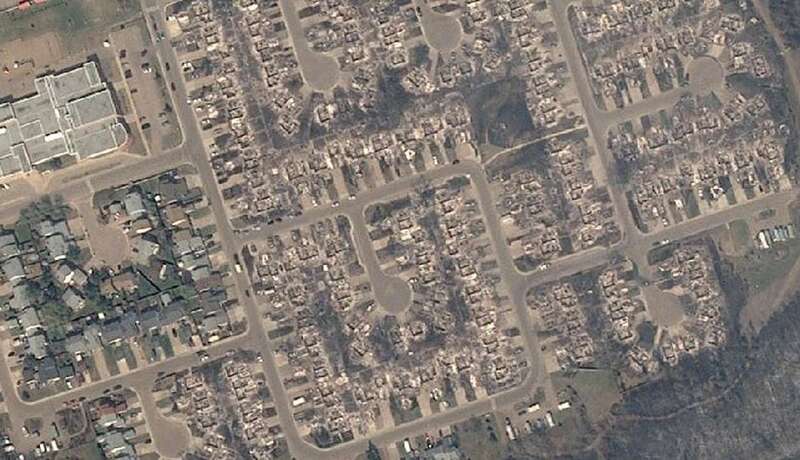 The government hopes that higher resolution images will soon become available and that these images will be able to help residents with insurance claims. Although this tool has been helpful to a number of evacuees, it is important to realize that it may be difficult to gauge damage from a single photo. Structures that appear to be standing may still be damaged.